Home Virtual Reality Who Controls the Game? When we are talking about virtual reality today it normally has to do with VR games, Oculus Glasses and somewhat mediocre 10 minutes’ immersion into a virtual roller coaster. There is all the talk and little to no presence in the day-to-day life. What we have as an omnipresent reality, however, is a head down generation navigating the streets through the smartphone. We are slowly acknowledging, however, that the era of smartphones is coming to an end. With VR headsets gathering new levels of funding and constantly improving their usability and applicability, we are transitioning to the time of viewing the world through the prism of VR, be it the glasses, the lens or the implanted VR chip if we go way too far into the future. What sounds like an overwhelming sci fi banality, can open a whole new universe of individual experiences and unlimited revenue source for companies who tap into “VR Worlds” first. Here I am not talking about the continuation of 3D movies and even very promising new experiments in medicine. Neither I am talking about the projects similar to a recently opened largest VR experience center in the world. I am talking about a whole new business of creating attractive and engaging everyday VR Worlds. What is the VR World and Why Would You Want One? While it might not be that easy to choose the right job and the right city to live in, we will always welcome the opportunity to experiment with our everyday reality and turn our dreams and fantasies into a real life experience, even if it is a virtual or augmented one. Sometimes you are better off applying your niche skills in a factory in Tychy rather than in NYC. With the advent of VR World, you will not have to feel deprived from the excitement of a megapolis! You can keep leading a daily life in the small city or countryside while immersing yourself in “Big City Life”. On the other hand, you will be able to relax in the tranquility of Alps without leaving Manhattan. We can take note of the constantly depleting biodiversity and nature in general. Why not have a VR rainforest or draw some beautiful trees and flowers in the AR World? In the futuristic world of VR Worlds, it’s us who decide what we can see! 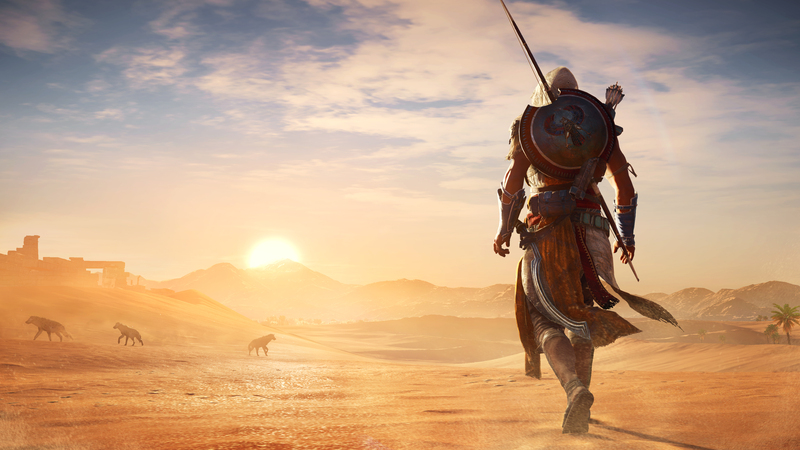 Some gaming companies like Ubisoft are already collaborating with museums and educational institutions to enable students and visitors to experience what it must have been like living in Ancient Egypt or in Aztec Empire. In fact, some games are fully created on the basis of an accurate representation of once existent worlds, example being Assassin’s Creed. CyArk has embarked on a mission of virtually recreating heritage sites for the future generation and for the event of an unpredictable natural catastrophe. Preserving accurate 3D scans of objects will ensure the possibility of an exact virtual or physical representation if need be. The level of reality and immersion these models can provide clearly prove that virtual transformation of our whole surrounding will not take more than a couple decades. Human addiction to PokemonGo, SnapChat and other reality augmented applications coupled with our natural curiosity will be a solid foundation for the success of Ecosystems’ adoption. Ever wanted to immerse yourself into a utopian “Avatar” world?Wanted to time travel to Cleopatra’s Egypt or see dinosaurs?Feel like checking out Great Barrier Reef without traveling through half the Globe?What about seeing a futuristic Seoul without leaving historic Rome? With the advent of VR Worlds, you might be craving your daily commute! Having bought the access to a particular World will allow you to immerse yourself in previously unavailable or very distant realities. You will not have to travel to Thailand or Maldives to see crystal clear water beneath your feet and you will be able to substitute your morning coffee by a walk in the Jurassic park. As far as pricing goes the access will most probably exist in SAAS model, without the right to share the key. Each person will be validated using eye retina so no unauthorized transfer will be possible. What Will the World of VR Worlds Entail? Very soon we will see major partnerships of game developing companies, like Blizzard, Ubisoft or Electronic Arts and VR applications and headsets manufacturers like Oculus, Sony or Google. In all probability, the sheer amount of time and money poured into a successful Ecosystem will be the reason for the Amazon VS. online retailers’ unequal style relation between the Ecosystem and headsets developers. Thus, those will be the Ecosystem producers who will dictate the rules of the game, with VR sets seeing a rapid commoditization. In such a scenario the only way for VR sets manufacturers to avoid such fate would be the creation of a valuable brand as well as exclusive partnerships with the top Ecosystem Producers. The way to the Olympus of Ecosystem production in turn will lie in the success and rapid commercialization of the first few Ecosystems. In few years’ time the most widespread patent applied for will be the right to create an exclusive VR World. If I was an Nintendo’s CEO, I would make sure I have Star Trek and Jurassic Park on my plate! How Will the Ecosystem Be Developed & Validated? To be viable on the city scale the whole ecosystem must be connected and coordinated to the smallest detail. Not to mention the base of having a connected and smart city to ensure an impeccable flow of data, each person’s avatar and building shapes must be carefully recreated to depict the size and direction in common virtual ecosystems. Moreover, with the spread of Ecosystem Producers the need for standardization is going to be a massive security concern. This would be another factor favoring the early entrants. Slightest lack of shapes and speed coordination might lead to major collisions and even fatalities among the users of different VR Worlds. Huge attention will be given to making sure the VR World is representative of the shapes of the real surrounding and any holes and barriers are being carefully depicted as a no go zone. Different Ecosystem Producers dominating different geographies might be a logical consequence of the disagreement on standards. Most probably drivers will be prohibited from immersing in the ecosystem while behind the wheel. Accounting for the astounding adoption of autonomous vehicle this is going to be a relatively slight concern. To ensure Ecosystem compliance and disputes resolution a whole range of VR lawyers and barristers will appear. They will specialize in protecting the right of the Ecosystem creators as well as resolving the issues arising from the misuse or misrepresentation of the environment or one’s avatar. While VR World and UX designers are going to be a new engineering elite of the next decades, the number of less qualified VR World testers and approvers will be a burgeoning one. Even after being patented and designed, an Ecosystem will require up to several years of rigorous testing before it can be issued and mass produced. Obviously, bigger cities will need a much longer testing and validation period. To be fair, the return on investment on Tokyo is going to be more than proportionally bigger than the one on a small Japanese village. So you would end up spending your testing money wisely enough. Who Will Fund the Game? Having said that, it is worth mentioning that only very large companies will be able to afford such undertakings. The city-wide Ecosystem creation will be so complex that only the major companies or viable partnerships will be able to afford the process. While games producers would be most obvious leaders in Ecosystem creation their dominance of the market is in no way written in stone. In fact, the company that proves to be the most successful with the first commercial deployments is most likely to dominate the industry. Some of the potential candidates can be a Hollywood movie producing company, Disney, HBO or even a social media giant Facebook. Each of those experience producing giants can play a role in Ecosystem creation. Those will be, however, precisely the game designers’ whole skills will critical for the new VR era. Being the most valuable company in the world, Apple can definitely take advantage of its unique software and hardware vendor position and create the VR App shops to ensure the control over the VR Worlds’ Ecosystem. If not a game producer, being a mere gatekeeper and controller will be quite a good piece of the pie on its own. We are much more likely to see Apple’s fortunes being wisely spent on the creation on the first major VR Worlds! Facebook is well positioned to control the interaction and data gathering part of the users, while Amazon is the company that may well be working on the VR Worlds right now! These guys seem to be first or best everywhere they appear. Hanging out inside an artificially created surrounding is not going to be an isolated experience. Rather it will open the doors to new entrants, promoting very targeted advertising as well as inter-avatar entertainment. In fact, VR ads pre-payment could be one of the major funding sources for the developing Ecosystems. Now the advertisers will have the most direct access to each individual user through the creation of an interactive VR messages specifically targeted to reach each individual user. 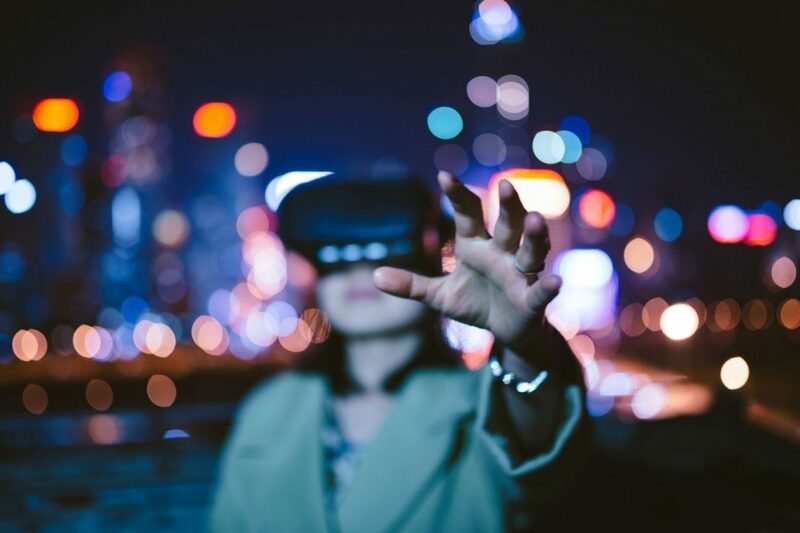 Not only the users might be fine with substituting generic billboards with a personalized message in virtual reality, the possible partnerships with social media and search engines will enable advertisers to tap into each person’s desires ulterior desires without any other set of eyes seeing the content. VR Worlds sound too outlandish and exciting to reserve it for a mere walk around the city. The whole gaming scenarios would be developed in allocated areas of the city. Upon the entrance users would be able to modify their avatars and have a VR game in a very hardwired reality. Forget about a couch potato video gaming scenario. Now you are the avatar and it’s you and not a virtual mascot that needs to complete the task! What Would be the Alternatives to VR? If the development of a whole VR World sounds prohibitively expensive it is because it is. A less risky, cheaper and faster alternative will be the creation of Augmented Reality Worlds. 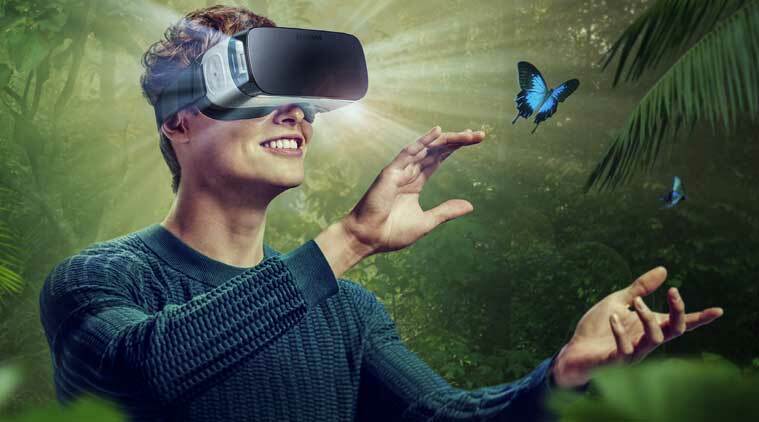 While you will not be able to fully immerse yourself into a virtual experience you will enjoy fun and curious modifications in your day-to-day reality. Imagine an ecosystem-wide adoption of PokemonGo. While it might sound horrific, the fact that you can have Egyptian pyramids instead of an Eiffel Tower or Himalayan mountains instead of Empire State Building is quite cool, don’t you think? Obvious advantages of going after AR Worlds development would be a cheaper design and production, less user reluctance to adapt and shorter testing and validation times. Moreover, advertising funding alone might turn out sufficient to fund the whole development cycle! The problem I would see in an unregulated AR setting is a voluntary submission into a pricey advertising nightmare. 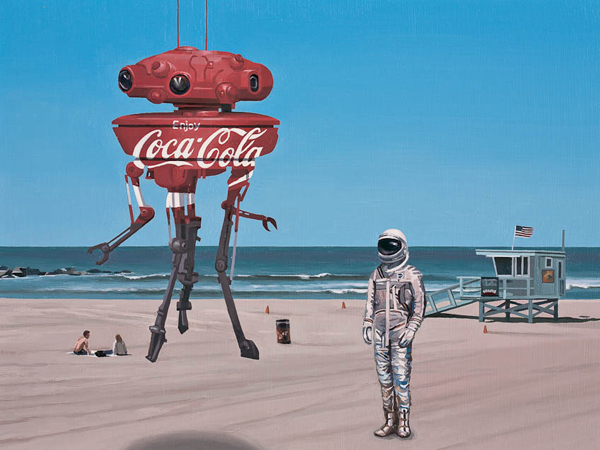 You don’t want to see a tyrannosaurus or UFO covered in Coca Cola logos, do you? To sum up, it is worth noting the winners and losers of the Alternative Reality-dominated world. VR Worlds will enable us to transform our everyday routine into an exciting journey and a never-ending adventure. They will create the surrounding we always felt itchy to see and experience. They will make us fly, dream and conquer without falling asleep. Let us only hope VR World will not make Hunger Games a reality! Next articleLife After Facebook: Will You Matter? As a Transhumanist I believe humans can move beyond current physical and mental limitations, and I see technology as a major way to improve the world and empower humanity. Believing in a divine power of a human being, nevertheless, I acknowledge we might have stepped too far in relation to other forms of life.